Your Hair Transplant Has Gone Wrong. What Next? Getting the right look from your hair transplant is key, and choosing the right hair transplant surgeon in the first place is crucial. You might be doing your research right now, and stumbled across this blog as a sensible and well-informed person looking up what can go wrong when having such a procedure. A hair transplant can potentially go wrong if you visit an underqualified or undertrained hair surgeon. It’s advisable that when you’re looking for a hair surgeon, that you don’t just go on price and choose the cheapest one, or one that only carries out hair transplants as an aside to other treatments or cosmetic surgeries. Inexperienced clinics or surgeons should be avoided as a general rule. But if you’ve found yourself with unwanted results, scarring or any other bad results from a hair transplant, then the first thing to remember is not to panic. Here at the DK Hair Klinik in Turkey we’re hair loss experts, and regularly see patients requiring a hair transplant restoration procedure as well as performing many successful hair transplant procedures. If you’re worried then contact us, as we’re happy to help. Here’s a few things that can go wrong, what you can do to help prevent them and what we can do to help fix them. There are two different types of hair transplant – the Follicular Unit Extraction (FUE) method or the Follicular Unit Transplantation (FUT), or ‘strip harvesting’ method. The results from both are just as good, but the method behind them, and the resulting scarring, is very different. The FUE technique is the ‘new and improved’ method of hair transplantation. An experienced surgeon will use a tiny tool to ‘punch out’ individual hair follicles from around the back and sides of the scalp where the hair is growing healthily. These hair follicles will contain anything from one to three or four hairs each. Your surgeon will then take these ‘donor’ follicles and transplant them into your ‘recipient’ area, usually on the top and front of your scalp to give you a natural hair line. The FUT technique involves your surgeon removing a thin strip of skin from the back of your head. This strip will contain many healthy hair follicles that will then need to be individually separated, ready to be transplanted back into your recipient area in the same way as during the FUE technique. You can probably see then, how the older FUT technique results in more scarring and takes longer to recover from. Expert hair transplant surgeons will be trained in both procedures, as the FUT technique is often used for larger areas of scalp baldness, despite the higher risk of scarring. Usually, the strip of skin is removed from an area that can be easily covered with longer hair. If however you have lots of scarring, our surgeons can help to cover these old scars, usually using the FUE technique to target specific areas. No method of hair transplantation is going to be successful if your surgeon isn’t experienced or qualified. You know how much your hair and your appearance means to you. Don’t leave it in the hands of someone promising amazing results for a comparatively cheap price. The cost of a hair transplant will vary from country to country around the world, but don’t make your decision based on cost alone. If something feels too good to be true, it probably is. Equally, if you don’t get a good feeling from a surgeon, a clinic or even the person answering the telephone, then always trust your judgement. Everyone should make you feel at ease and welcome, from start to finish. An untrained surgeon can cause unnecessary scarring if the procedure isn’t carried out correctly. A hair transplant carried out in a clinic without strict hygiene rules could also end up in a ‘hospital acquired infection’. This is a wound infection that is picked up whilst still in the clinic with an exposed wound that hasn’t been treated properly. It can lead to a painful and long recovery and excess scarring. Some hair transplant revision patients come to us because the hair transplant they’ve been given is completely unnatural looking. Our advice to anyone looking for a hair transplant is simple – only ever go for a hair line that is similar or identical to the one you were born with. Your surgeon should take the time to draw the intended line on your scalp and to make sure that you are happy with it. Some unscrupulous hair surgeons will overdo it, promising that they can enhance your natural look and give you a full head of hair to resemble your favourite rock star. The reality is, this will never be achievable if you never had that kind of hair in the first place. Some patients have even come to us with uneven or wonky hair lines, that were never going to look natural. Or dead straight hair lines that again, will never look natural. Or they seek corrections of some of the early hair transplants that look ‘doll like’ with thick ‘plugs’ of hair that don’t sit against the scalp naturally and can’t be styled into the look the patient so wished for. Our surgeons can help correct these kinds of mistakes by reversing the original hair transplant procedure. They remove transplanted follicles from the recipient area and essentially start the hair transplant process again, thinning out ‘plugs’ if necessary. This does come with risks, as hair follicles are delicate and moving them for a second time can mean they become damaged. But here at our clinic, a steady hand and professionalism is the name of the game. Sometimes, a bad hair transplant procedure can result in damage to the remaining follicles in and around the original donor area. 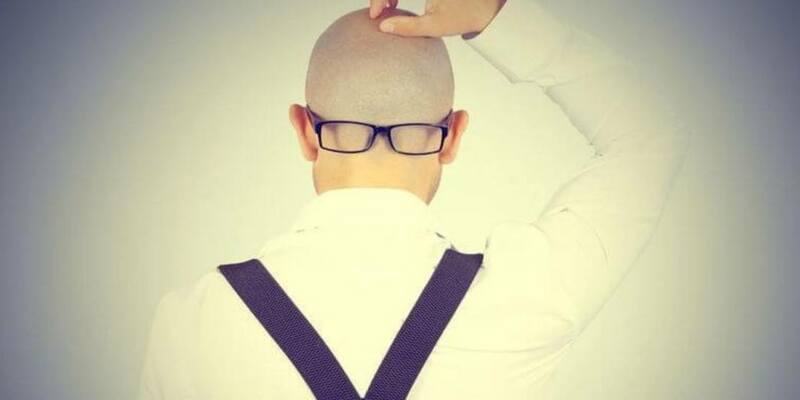 This can mean that the back of the head then begins to lose its hair and the scalp ends up patchy. If this is the case, it can also mean the procedure was done so badly, that the follicles in the recipient area are also damaged and that the whole process hasn’t worked. This is the trickiest case to solve. We all have a limited number of hair follicles and if many have been damaged then this could mean that even with our expertise and knowledge, it could be too late to save your hair. We would, however, do all we could. But this is perhaps all the more reason to do your homework and fully research a hair clinic and hair surgeon before committing to any hair transplant procedure. Don’t be put off by past experiences. You don’t need to put up with a hair transplant procedure that has gone wrong. And most importantly, don’t be embarrassed. Make an appointment to come and have a chat with one of our friendly and knowledgeable surgeons and see what we can do for you. You may be very surprised! « What are the Alternatives to Hair Transplants?